*All offers to well qualified customers with approved credit through Lexus Financial Services. 36 month lease examples based on NEW 2019 LEXUS GX 460 #N26766 with 7500 miles per year. MSRP $55,774 and include all qualifying lease cash and incentives including owner loyalty when applicable. ALL lease offers plus $899 dealer fee, $795 bank acquisition fee, $498 electronic title, tax, tag, first payment. $419 lease requires additional down payment of $3,499. **$0 down payment lease option monthly payment $519 available with approved credit. See dealer for complete details. Promotional offers expire April 30, 2019. *All offers to well qualified customers with approved credit through Lexus Financial Services. 36 month lease examples based on NEW 2019 LEXUS GX 460 Premium #N26766 with 7500 miles per year. MSRP $56,570 and include all qualifying lease cash and incentives including owner loyalty when applicable. ALL lease offers plus $899 dealer fee, $795 bank acquisition fee, $498 electronic title, tax, tag, first payment. $489 lease requires additional down payment of $3,499. **$0 down payment lease option monthly payment $589 available with approved credit. See dealer for complete details. Promotional offers expire April 30, 2019. Larger than the RX, the Lexus GX offers the size and power for customers that need more than 2 rows without compromise. 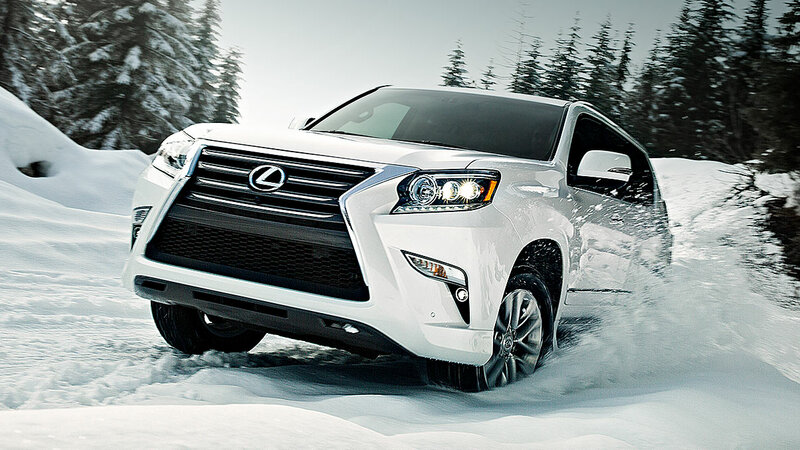 Powerful all-wheel drive and a spacious interior make the Lexus GX great for any day or adventure. The 2019 Lexus GX is powered by a powerful 4.6 L V8 that produces 301 hp and 329 lb-ft of torque. Overall, the GX is a powerful SUV that offers all the convenience you need with a powerful engine that can pull or haul it all, combined with a powerful all-wheel drive system that makes sure you can put the power down, creating a smooth drive. 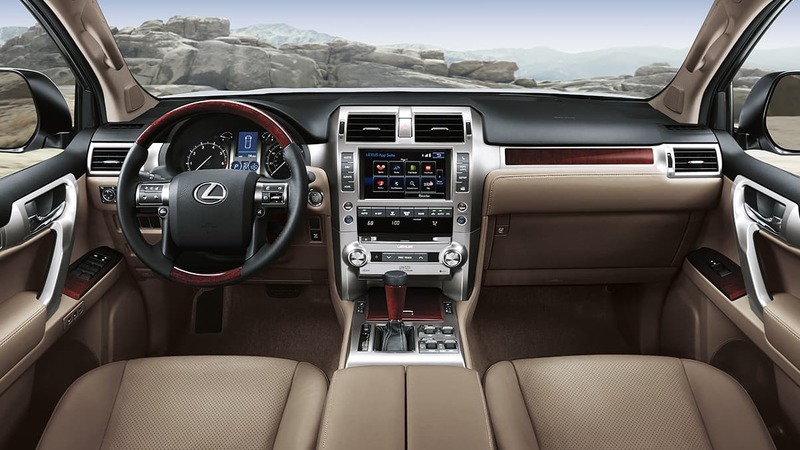 The interior of the GX features high quality wood trims and leather everywhere. 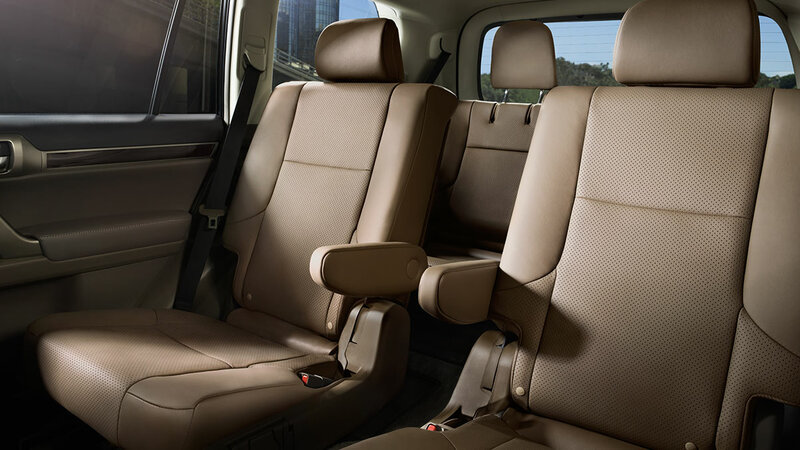 You'll find that the interior of the GX is as high quality as other full-size luxury SUVs. Whether you're driving on a daily commute or going on a weekend get-away, the interior of the GX features has all the technology and amenities you could want. The 2019 lexus GX features a number of great interior technologies that make the GX a fun place to be. The front features a standard 12.3 inch display with Enform App Suite and optional Enform App Suite 2.0 with navigation. 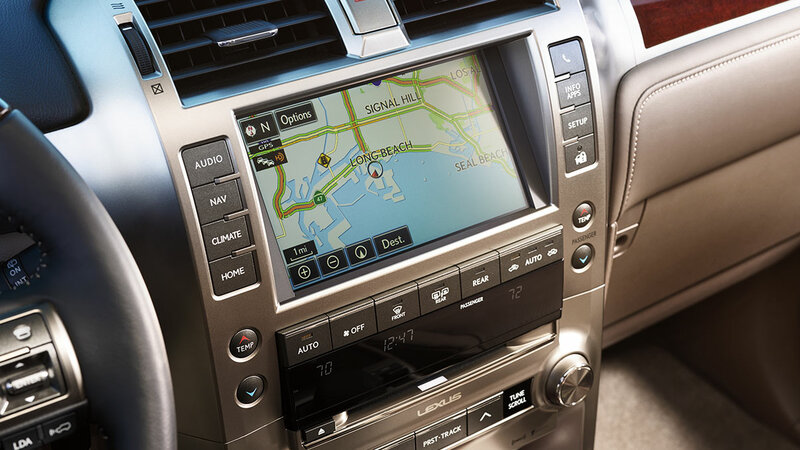 You also have optional Mark and Levinson surround sound audio system and rear seat screens. The LX comes with standard seating for 7, with an optional second-row captain's chairs that give the second-row seats heated and ventilated seats. You also have the functionality to lower the third-row seats flat to give you maximum trunk space in case you need to carry more luggage. The GX was made to provide a lot of space, a lot of comfort, and a lot of power, and that it delivers. When it comes to finding our customers the best lease terms for their current situation, our financing team has it down to a science. We've been through the process enough times to have a system in place to assist our customers with every aspect of leasing their new Lexus GX from us. Now is your chance to lease a Lexus in Miami and make it a memorable experience that you'll tell all your friends about. Our Lexus GX lease offers are designed to get you into the luxury SUV that makes your drive a more enjoyable trip, but with less red tape than other offers. When you browse these deals, keep in mind that they change on a regular basis to give our customers the best opportunities to save. If you don't see the Lexus GX lease offer that pertains to your current lifestyle, don't worry because there will be others. You can easily bookmark our page and check back to see what updates have been made, then act when you find the one that makes you feel at ease. When you come in looking for the latest safety and entertainment features, you know that you can count on a new Lexus GX to give that to you, and when you opt for a lease, you are getting the newest options with each new lease. Rather than deal with the hassle of trade in values, depreciation, and hefty down payments, consider leasing a Lexus GX in Miami. You can get access to the latest features, but without worrying about coming up with the money to put down, losing money on trade-in, and other problems you face when buying. We encourage all of our customers to save on a new Lexus GX lease, and it starts with a visit to our Lexus dealership in Miami. You can ask us any questions that come to mind prior to your test drive, or bring us your concerns and we'll help put them to rest. We're here for you, so let us be your resource.